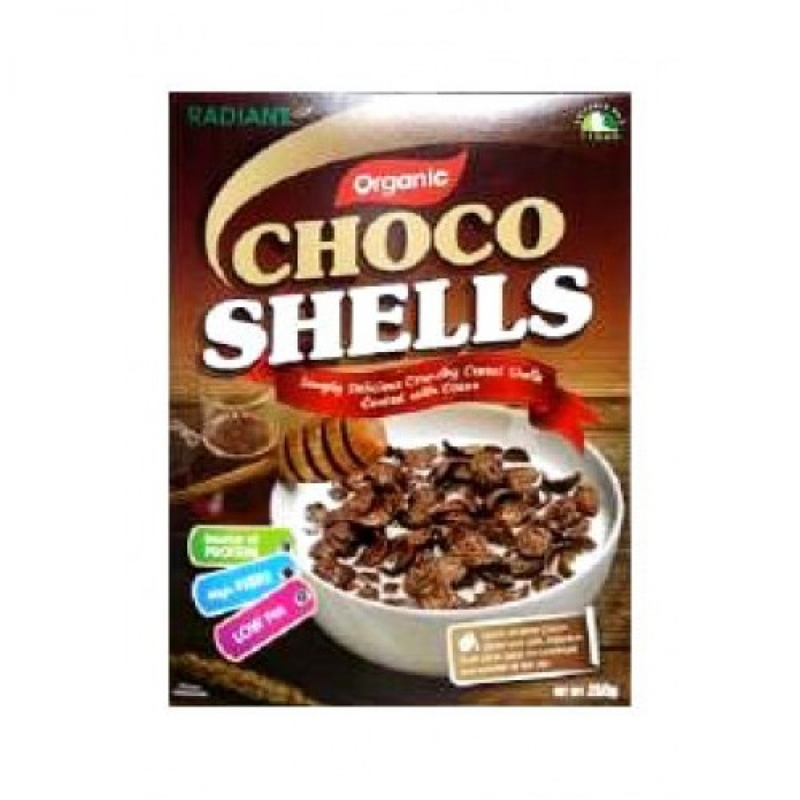 Radiant Organic Choco Shells are made from organic rice, wheat and corn for good nutrition. Quick to serve Choco Shells with milk, yogurt or fruit juice. , Delicious and Nutritious. Ideal for breakfast and anytime of the day. Ingredients: Organic: Cereal flour* 57% (rice flour*, wheat flour*, corn flour*), cane sugar*, fat reduced cocoa powder* 7%, rice syrup*, vanilla Bourbon*, salt. *Organic. EU/ Non EU agriculture.